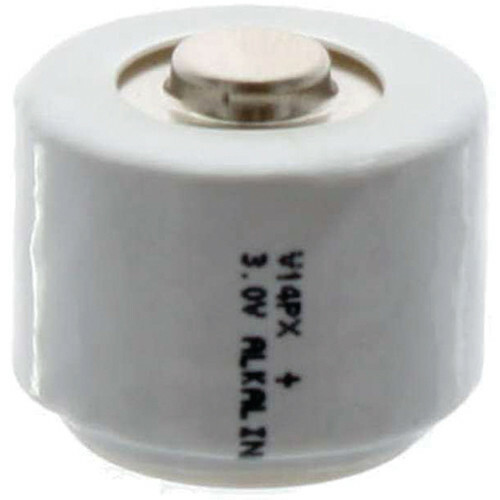 The Exell Battery A14PX 3V Alkaline Battery is an alkaline replacement battery for the ANSI/NEDA 1201MP found in photographic equipment and various other industrial electronic devices. It features a slightly higher voltage than the original mercury battery is assembled in the USA. Box Dimensions (LxWxH) 2.2 x 1.6 x 0.9"